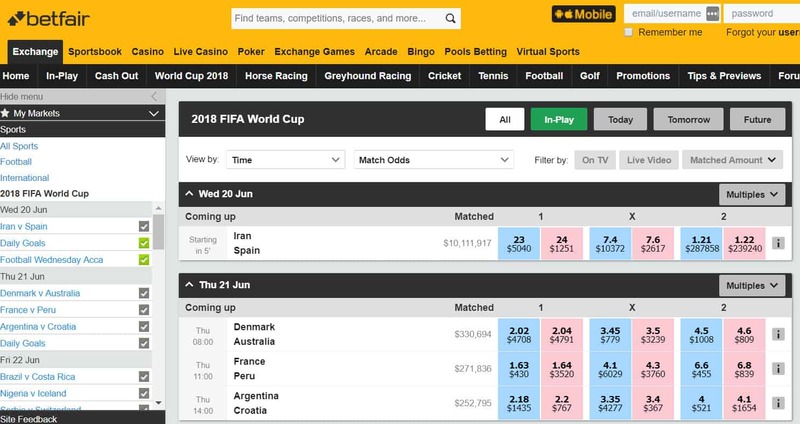 If you’re looking to make a bit of money off of World Cup 2018 betting, Betfair might be the place for you. And you can cast your sports bets and more through Betfair, so long as you have an account in a country where the service is legal. However, if you’re traveling abroad, you may need to unblock Betfair and access the service to still allow you to cast your bets. You can unblock Betfair in the US, Canada, Australia, and more, using a VPN service. Betfair provides a wide range of betting and gambling options for users — as long as you’re in a country where online gambling is legal. You can access Betfair from anywhere in the world, although you will need to take a few, simple steps to do so. Betfair will give you a notification if you’re in a restricted country. It may read, “You are not permitted to register with Betfair from the country you are in.” If you see that message or a similar one, the country you currently in has banned online gambling or Betfair specifically. You can get past this geographic content blocking by using VPN service ExpressVPN. ExpressVPN allows you to spoof your IP address by connecting to a VPN server located in your home country (the UK, for example) where Betfair is legal. You can purchase an ExpressVPN account for 1 to 12 months, there is currently an offer on the 12-month subscription providing 3 months of free service here. Many countries may have multiple VPN servers. ExpressVPN has several VPN servers located in the UK. For your purposes, connecting to any server within your desired country should work. *Disclaimer: Many countries have banned online gambling, while many others have not passed any form of legislation for or against the issue (we call these “gray area” countries). We do not condone illegal online gambling, or the use of a VPN to spoof geographic locations for the purpose of breaking local laws to do so. Be sure you thoroughly investigate the laws within your own country and state before attempting to use a VPN to access Betfair or any other online gambling website. Anyone looking to access Betfair with a VPN should ensure they only do so if they are a resident of a country where accessing Betfair is legal. Using a VPN to access Bet365 services should not be considered a workaround for the purposes of illegal online gambling. Why do you need a VPN gamble abroad? Worldwide, gambling has always been a popular pastime. Indeed, when the internet truly began to take shape in the 1990s, online gambling soon followed. Online gambling is now a huge business, encompassing tens of thousands of websites, each partaking in an industry that’s estimated to be worth over $40 billion (GBP $32.78 billion). One of the biggest among these is the British betting site, Betfair. Betfair hosts over 4 million users, 1.1 million active users, and around $483 million (GBP $393 million) in revenue in 2014. This easily makes Betfair a major international gambling hub, particularly given the website is legal in many different countries. Customers are regularly logging in and placing bets from over 46 countries. This includes one U.S. state (New Jersey) and Australia. As gambling has always been a bit of a hot topic, and more so for online gambling, many countries have banned outright Betfair and other websites like it. In some countries, such as Canada, gambling, and even online gambling may be legal, but gambling through offshore websites like Betfair is not. For Canadians in particular, this means an inability to connect to websites that offer online gambling but have no physical address within the country. This is one of several reasons why Betfair, which once operated in Canada, closed up shop back in 2014. In most U.S. states, online gambling is illegal, and even where it is permitted, many potential online gamblers face roadblocks from credit card companies and banks. A law exists that prohibits banks from processing payments used for illegal online betting. So as to avoid getting in trouble, most banks reject such payments. In the case of New Jersey, where online gambling is legal, many customers find their payments are still not processed, although a majority do now go through for users in those locales. In several cases, such as in Portugal, Betfair is not illegal due to an issue with online gambling bans, but on acquiring the proper licenses. These licenses can often be difficult to obtain, or more costly than what may be worth the expense to the company. Betfair must balance its cost-benefit for each individual country, and in some cases, the market for online gambling just isn’t there. As for Portugal, Betfair is currently in the process of applying for a license there. See which countries Betfair is banned in and which countries where it is allowed at the bottom of this article. Nevertheless, Betfair remains vastly popular among many would-be gamblers across the world, including those who live in countries where using Betfair is either outright banned, or sitting within the legal gray area. 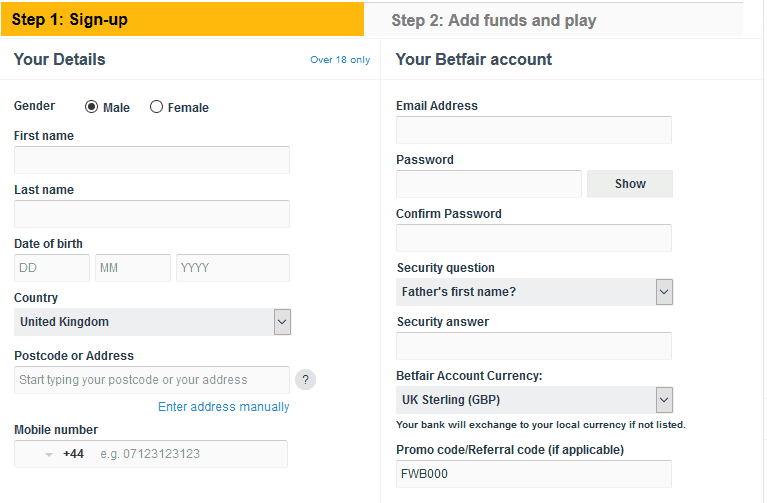 Since Betfair only allows users to connect to their service after determining if the user’s IP address comes from a legally-accepted country, Betfair users, like many internet users, generally find a workaround. That workaround exists with VPNs. Betfair’s popular service, which provides a platform for betting on anything from sports to politics, is barred for many users. Yet its method for blocking access from certain countries (something the company does mostly to protect itself from any legal repercussions) is easy to get around. Virtual Private Networks, like those services provided by ExpressVPN and others, allow users to connect to a server in a different country, thereby gaining access to geographically-blocked websites like Betfair. It should be noted that using a VPN to connect to Betfair while living in a country or U.S. state where online gambling is not permitted is still an illegal act. We don’t condone the use of a VPN service to break the law for the purpose of gambling. That said, ExpressVPN and other VPN services like it are particularly popular among international travelers looking to access geographically-blocked content from their home countries. Many of Betfair’s users who find themselves frequently traveling to places like China, the U.S. or Canada may find a lot of value in connecting to Betfair through a VPN. Voila! Not only can the traveler make a new account, he can access an account that already exists. No problem with it, really. Now, if this traveler is worried about breaking U.S. law to access content legal in his country, this is where VPN services come in handy over, say, a SOCKS5 proxy server. Aside from simply assigning a new IP address, VPN services also provide an encrypted tunnel to users. This means that web-based activity is encrypted between your computer and the server you’re connecting to. Anyone trying to look in on your activity would have a very hard time doing so. This includes the ISP you’re utilizing while abroad. That encryption varies depending on the service you use, but most paid services use the highest level of encryption and privacy standards that include no log keeping and a kill switch for when the VPN connection drops. Would it be legal for him to do this? That’s a bit of a gray area. While U.S. law prohibits online gambling, and anyone traveling is beholden to the laws of the country they’re in, the user may not be breaking any laws. We couldn’t find anything succinct to answer this question, so, as we said, this is a significant legal gray area. Nevertheless, a VPN will help maintain enough privacy where it’s not likely to be a concern while traveling. As you may be able to tell from the screenshot, I did not do any actual betting, and indeed did not provide Betfair with any credit card or bank information. As it is illegal to utilize Betfair as a U.S. citizen, I only made an account to verify that someone can connect to the service through a VPN, should one so desire to utilize that option. From testing, it is clear that accessing Betfair from the U.S. while using a VPN was extremely easy. Undoubtedly, this would also be true for anyone traveling abroad to Canada who wants to access Betfair as well. Australian citizens need not connect to a VPN service like ExpressVPN, as Betfair is fully licensed in the country. Additional findings for connecting to Betfair in the U.S. Even connecting to a New Jersey-based server may not let you into Betfair’s website. Alongside connecting to Betfair through ExpressVPN, we tried connecting to a New Jersey VPN server using IPVanish. While the server connection was just fine, we were still rejected by Betfair’s website. Betfair’s website will still reject U.S. and Canadian IP addresses, even when you’re connected to a VPN. We discovered that this is because Betfair has a separate website for its U.S. operations, Betfair CASINO. This website will work even without a U.S. IP address, although it may not be what you’re looking for. Betfair CASINO not only requires an account separate from the regular Betfair website, it also does not offer the same betting options. If you’re a U.S. citizen and desire to use Betfair in the U.S., you must be a New Jersey resident or be in New Jersey at the time you are using Betfair. Betfair CASINO will require you to install a location detector onto your browser to verify you are in New Jersey. Despite being legal to access Betfair while physically located in New Jersey, it is still illegal to do so while outside of New Jersey. Online gambling laws are perhaps some of the most overly complicated laws you will find. Each country has its own legal situation, and even places where online gambling is legal, the situation may be less than black and white. Laws are always changing as well, making it sometimes difficult to keep up with the legal situation on this topic. For the sake of accuracy, we reached out to Betfair directly regarding which countries still ban their service. Below you’ll find a list of where Betfair is legal, and where it’s still illegal to use. Not included on either list are “gray area” countries where no law exists permitting or denying the right to use Betfair or other online gambling sites. What countries is Betfair banned in? *Note on illegal/legal countries: As mentioned, gambling laws change regularly, as well as Betfair’s own licensing agreements in different countries. This list is subject to change at any time. Please be sure to check the rules in your own country on a regular basis to ensure you’re compliant with local laws. If you do find any discrepancies in our list, please let us know! Can I use Betfair for the 2018 World Cup? Indeed, you can. Betfair is one of many online sports betting and gambling websites that is currently taking bets for a large variety of data points regarding World Cup matches. Betfair has a page set up just for betting on World Cup matches. You’ll find current and upcoming matches available for betting. As with all betting sites, there will be a cutoff to when you can cast your bets, so you will need to ensure you get in with enough time to benefit. If you’re not quite sure how to cast your lots, you might want to do a bit of research first. A few sites, such as Oddschecker, will show you aggregated bets from across a large number of betting websites. do NOT use express vpn. I went on several gaming sites & all detected I was using a VPN. Lost some $. Still looking for a service, but trust me express VPN is NOT it. I am going to Greece next weekend & want to have a bet via my Betfair account. I have got a ExpressVPN Account, what do I physically have to do to access my Betfair account ? ie when & which buttons do I have to press. Hi, great article, loved reading it. I have one question for you, I hope you can solve it for me. I live in Spain and BetFair is legal here but they have limited access on EXCHANGE due to laws( for eg – they don’t have horse racing and many other sports I like on Exchange. They only limit to Football, tennis and basketball and the liquidity isn’t that great either. Now my question is I have a bank account and living address in India. So through VPN provider ( India IP address ) Can I give my Spain bank account statement for verification ? Will they accept me and transfer the money ? or is it a compulsion to provide only with Indian bank statement ? Thank you. I am travelling next month to thailand. Can I access my same betfair account in Thailand too??? Would betfair block my account??? Thanks, Sam, for the article. I have a small problem, can you help me out? I am using seed4.me VPN and Betfair apps on my iPhone. And I got error message that I am not in UK and can’t access the service. I contacted seed4.me support and they told me to disable Location services. I did. But now the Betfair asks me to turn it back. Which VPN do you recommend for Betfair? Tested and working good. Last thing is do you use static IP or dedicated own IP in your VPN? Hi Elmer, we recommend ExpressVPN for Betfair. Additionally, ExpressVPN does not use static or dedicated IP. The service utilizes dynamic IP to better secure anonymity. Don’t do it. My account has just been closed. No warning. Nothing. I had over 500 quid in the account and now I need to fight to get it. It’s not worth it. Trust me. Sorry to hear that happened to you. Did Betfair confirm with you that that was the reason for closing your account? I am trying to use the TunnelBear VPN to connect to my BetFair account in Luxembourg. I set a connection with the VPN from the UK -where Betfair is allowed- though, when accessing the BetFair website, I receive a message that the software detects I am trying to connect from a forbidden country. How can this be the case, and what do you suggest me trying? As for why you’re getting that message, it may be that TunnelBear’s VPN connection methods are getting detected by Betfair’s software. 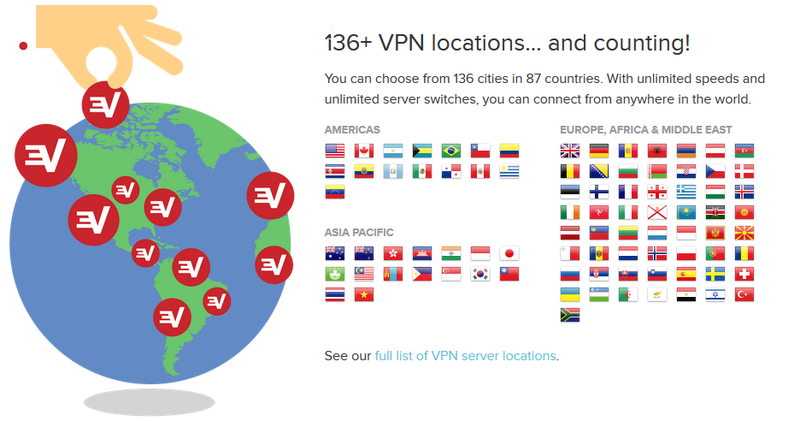 Have you tried a different VPN service? Not yet, which VPN do you advise me to you? I’m using VPN to connect to betfair and it works Ok, the only problem is that I’m not allowed to watch the live video. Any way to fix this? Thank you. I’ve tried to look into this issue. I’m not sure why this might be the case for you. There are any number of reasons that the video might not be loading. When you say you’re “not allowed”, what kind of message are you getting when trying to watch video? Hello I am currently living in Jamaica and I am using betfair , fully verified account but now soon reside in Canada , can I use a vpn to access my account there without getting my account shut down by betfair? You can physically use a VPN to access Betfair while abroad. However, do note that altering the IP address of your computer while abroad (e.g., using a VPN), would be considered against the Terms and Conditions. Whether this would lead to your account getting shut down by Betfair depends on the technology they employ to track this. We can’t verify how they track IP addresses, so that would be a risk you would take. I’m going abroad soon, and will definitely miss Betfair. Does this mean they don’t allow the use of VPN’s? That would be the correct interpretation of their language there, yes. You take on risk by using a VPN with their service. Our service review focuses primarily on the legal issues related to doing so and on the possibility of making it happen. I read with great interest your comments about Betfair access via VPN. I tried it but wasn’t successful. I got the same Betfair input mask that you described in your comments, but when I put in my email address, access was denied. I could provide you with a sceen shot but maybe you have already some advice what I could do to get access to my account via VPN. Thanks for dropping in. Can you describe the input mask you received in more detail? Also, do you already have a verified Betfair account? I live in Belgium and due to new UK/EU and Belgian gaming regulations, my Betfair account has been closed since November 2016 and belgium is now on the Betfair black list too. Is there a way for me to open a new Betfair account ? I’ve already used a VPN (Cyberghost) to access their website but even if I am considered as a “new customer” and can apparently open a new account, before doing so I’d like to know how I can pass the Betfair verification process without getting rejected. I am ready to do what it takes to become a “virtual British citizen” but i really don’t know how to acheive that goal. Thank you for your help and advise. Hi JP! Sorry to hear about those changes. Hi, great article, thank you. I just have a question and hope you may be able to help. I live in a “gray area” country and am trying to figure out how to use Betfair. This article helped a lot, but do you know if Betfair would shut me down based on my payment method? For instance, if I use Paypal or Neteller instead of direct bank payment, would Betfair shut me down based on my address with the payment service? If so, would you have an idea or suggestion for a way around this? What I can’t verify is how old this post is. However, going off of the information provided here, I would assume that you can use either Neteller or Paypal, as long as you have a verified account, assuming you are able to access Betfair legally from your country.